I’ve been drawing caricatures for the children at our school fête today. 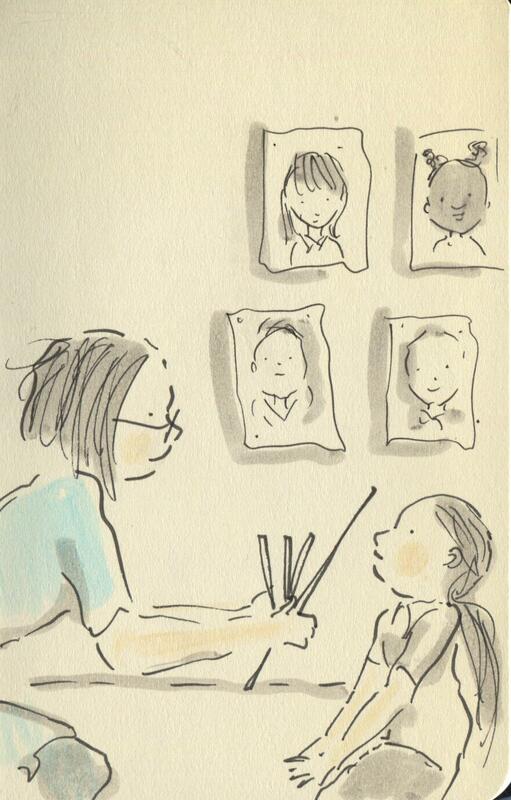 The children who posed for me all sat beautifully and were an absolute pleasure to draw. I adore drawing children and this was so much fun! Funnily enough, Evie, Gruff and Millie were wondering when it was their turn! Posted on July 8, 2014, in Uncategorized and tagged Children, Doodlemum, Drawing, Family, Humour, Illustration, Life, Pen and Ink, school, Sketchbook. Bookmark the permalink. 2 Comments. It’s so wonderful that you go out where children can watch you sketching. You never know which ones may be spurred on to try it themselves. It sounds like your own three are seeing you and your talent with fresh eyes now, set among the other children–when’s my turn? Love it!